Recently I went to a local store to purchase school uniforms for my youngest child, who after years of agonizing anticipation, gets to finally join her two siblings at the “big school.” I wanted to embrace her enthusiasm for the transition. So, one week after her pre-school graduation, and at least two months before the first day of school, we headed to the uniform shop. I had received a “rookie days” coupon worth 20% off my bill if I came in before the back to school rush. Why wouldn’t I jump on this? My daughter was so excited! We loaded up on polo shirts, pants, skirts, jackets, sweaters, and a new backpack. Unfortunately, I made one critical mistake. I didn’t realize it until I reached the register, but I forgot the coupon. I hoped it wouldn’t be a big deal, since it really was more of a flyer than a coupon, without a bar code or discount number. To my dismay, my discount request was rejected. I was told that I needed to have the coupon in hand in order to receive the discount. I assured the store employee that I had the coupon and even described the hot pink, black inked design and where I received it. It was suggested that the store was still open for another hour and that I could probably drive home to get it and bring it back before the store closed. I tried to plead that since they only offered the coupon to specific private schools, and mine was one, and I only knew about it because my child is clearly a “rookie,” purchasing the Kindergarten uniform for one of the specific schools, perhaps they could make an exception. No, unfortunately, I was denied. I asked if I brought the receipt and coupon before the expiration date at the end of the week, if I could receive a price adjustment. This was, thankfully, approved. The employee in question first denied that he gave such permission. I’m certain he was afraid of the boss, but I was not walking away from this after all of my trouble. I had to remind him of our interaction, plead with him to look at my kids and remember how he helped us find a specific jacket in the stock room two days earlier. He eventually admitted to the interaction. Finally, after much anticipation, anxiety, and frustration, I’d get my discount. Another employee at the register was visibly annoyed that she had to process the adjustment. She had to enter the return and then charge back all of the items on my extra-long receipt in order to issue a credit. This of course, was not her fault. After making her frustration known to me, and a few grumblings later, she did attempt to be polite. The Assistant Manager noticed but made no attempt to address this behavior or the situation. Sadly, I have a feeling that the Assistant Manager thinks that I had a positive experience. Yet, I will make every effort to avoid this store in the future, and I’ve already told this story a few times to other school moms. They had an opportunity to WOW me, by making a small exception in order to make my experience more convenient. Instead, their strict policy wasted my time and frustrated their employee, which made me feel unwelcome and guilty for calling out someone who tried to help, despite the strict policy. The coupon was meant to make me feel special, but instead, the experience left me feeling burdened and untrustworthy. In fact, they have a return policy that is so liberal, they often tell customers to just keep items that were shipped incorrectly. This actually happened to me twice. The first time was when they accidentally sent me two DVD’s of the toddler video, Wiggles: Pop Go the Wiggles. I tried to return it, but they simply said, “we are sorry for the inconvenience, please keep it.” I’m sure the $8.99 was not worth the hassle of processing a return, but with that experience, they received a customer for life. The generous return policy is one of the reasons I, like millions of customers, love to buy from Amazon. They, unlike my local uniform shop, instill trust and confidence with the customer. Amazon has permanently redefined what Customer Experience should be, making Customer Experience a primary source of competitive advantage in business today. With over 63% of all cremations going home, competition is fierce. We have to compete for customers more than ever before. In today’s business environment, we must assume that a customer is anyone who steps foot on our property and anyone who looks us up online. Customer Experience starts when they first learn about us to when they no longer need our services. Particularly for funeral homes and cemeteries, that journey may never end. Customer perceptions affect behaviors and build memories. If customers like you and continue to like you, they are going to do business with you and recommend you to others. It is critical to develop a Customer Experience strategy, which leads to the level of satisfaction that breeds loyalty, referral, and greater sales volume. Keep in mind that 86% of customers are willing to pay more for a better Customer Experience! Getting everyone on board and truly understanding customer needs is the key to a successful and sustainable program. As you learn about what it means to communicate with customers on their terms, you'll find it's easier to make informed decisions about your overall Customer Experience strategy. 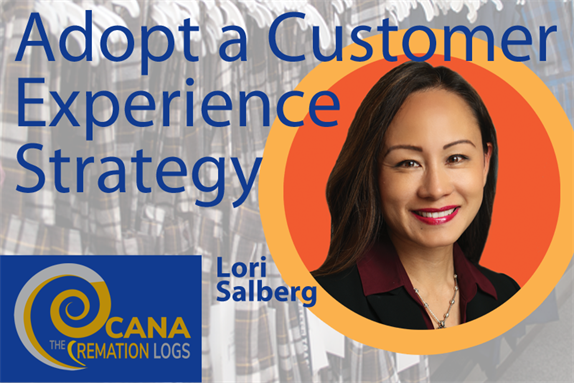 If you want to learn more about how to develop a Customer Experience strategy, please join me at the CANA Cremation Innovations Conference next month in Fort Lauderdale. Update! One hundred years of conventions proves that CANA successfully tackles the topic of cremation by continually providing relevant, progressive content. The 2018 convention was no exception. Weren't able to join us? You can access Lori's presentation recording and all other speakers' wisdom on our Learning Management System. View session descriptions and pricing here: gocana.org/CANA18. Our presenters are carefully chosen to ensure practical takeaways that you can apply to your business. Cremation consumers reject ritual and tradition and expect a unique and personalized experience. The industry has seen an influx of products and services that aim to create that experience. But Customer Experience is defined as how customers perceive their interactions with your company. Leading companies understand that how an organization delivers for customers is as important as what it delivers. That’s why Customer Experience is the next frontier for companies hoping to maintain a competitive edge. Lori Salberg is Senior Business Development Consultant at Johnson Consulting Group. She has over 17 years of experience in cemetery, funeral home, and pre-need sales management. Lori began her career as a Family Service Counselor and quickly moved into management, rising to Associate Director of three cemetery locations. She furthered her career as General Manager of a large combo location and cremation center. 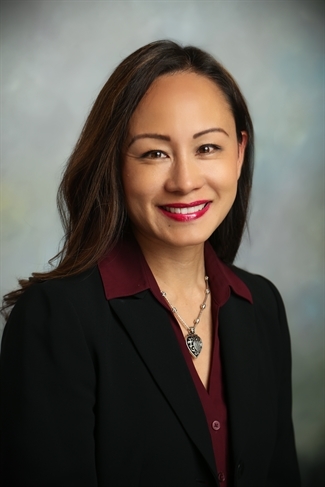 She continued her career as Director of Administration for a national consulting management firm. As a member of the leadership team, Lori brought management expertise and software solutions to cemetery and funeral home clients. More recently, Lori contributed to the development of a cemetery software product; and as Vice President of Sales was principally responsible for introducing it to the US market. She is a frequent speaker at many state and regional industry events and an article contributor to many industry magazines.